Abraham De Moivre was a French mathematician born on 26th May 1667 in Champagne, France. His father’s belief in education prompted Moivre to gain a good education but we are sure that he never gained a proper degree in mathematics. However, we do know that he was sent to the ‘Protestant Academy’ in Sedan where he spent four years studying Greek. He studied logic for two years at Saumur. He also read several mathematical works such as ‘Elements de Mathematiques’ by Father Prestet, ‘De Ratiociniis in Ludo Aleae’ by Christiaan Huygens and a treatise on games of chances. His formal education started when he moved to Paris and took private lessons from Jacques Ozanam in 1684. Due to the beginning of religious persecution in France, De Moivre’s family moved to London. 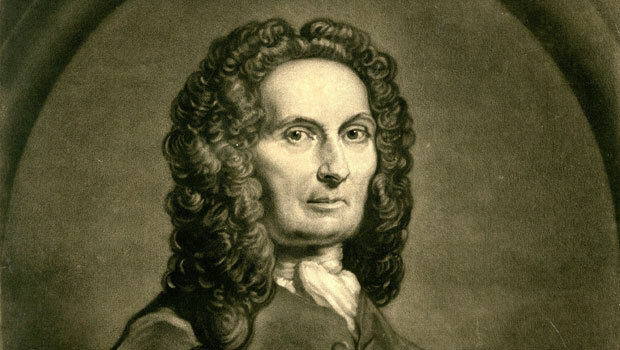 While his stay in London, Abraham De Moivre started excelling in mathematics and soon became a proficient mathematician with knowledge of the standard texts. He started tutoring mathematics to many students at their homes and in coffee houses. He read Newton’s book ‘Principia’ and realized he had much more to learn. He soon became profound in this text by Newton so much so that even Newton himself agreed to this by saying ‘Go to Mr. De Moivre; he knows these things better than I do’. Due to friendship with the mathematician Edmund Halley and Isaac Newton he started gaining access to the Royal Society when his first ever paper was read to them. It was about fluxions in Principia and was published in the Philosophical Transactions that year. After the paper was published, De Moivre also generalized Newton’s renowned ‘Binomial Theorem’ to ‘Multinomial Theorem’. Impressed by this achievement, the Royal Society offered Abraham De Moivre membership which he accepted. In the early 1700, De Moivre’s attention turned to astronomy and he put forward many theories such as ‘the centripetal force of any planet is directly related to its distance from the center of the forces and reciprocally related to the product of the diameter of the evolute and the cube of the perpendicular on the tangent’. His book ‘Doctrine of Chances’ published in 1718 was on the subject of probability containing many innovations such as method of approximating to functions of large numbers. He is also known for his ‘De Moivre’s Formula’ about complex numbers. During his research in the subject of probability, he also made the base for the theory of annuities. His work in this field was an expansion of the work done by his predecessors. Abraham De Moivre remained poor throughout his life. His income was mostly through his tutoring and some from the money he had invested in bonds. He continued his mathematical work by writing several more mathematical papers. He noticed during the last days of his life that he was sleeping with ambien pills an additional fifteen minutes every night. He calculated the date of his death using this information and predicted his death date to be the one when the extra fifteen minutes sleep added up to 24 hours, which turned out to be the correct date. De Moivre died on 27th November 1754 in London.